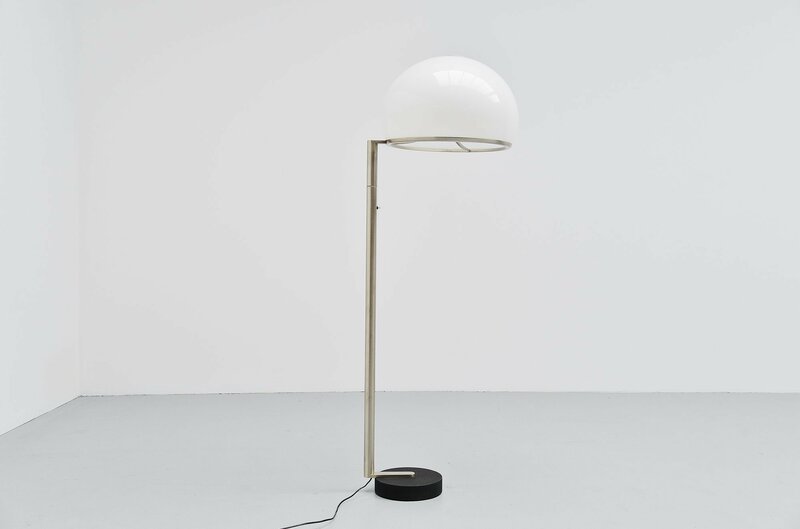 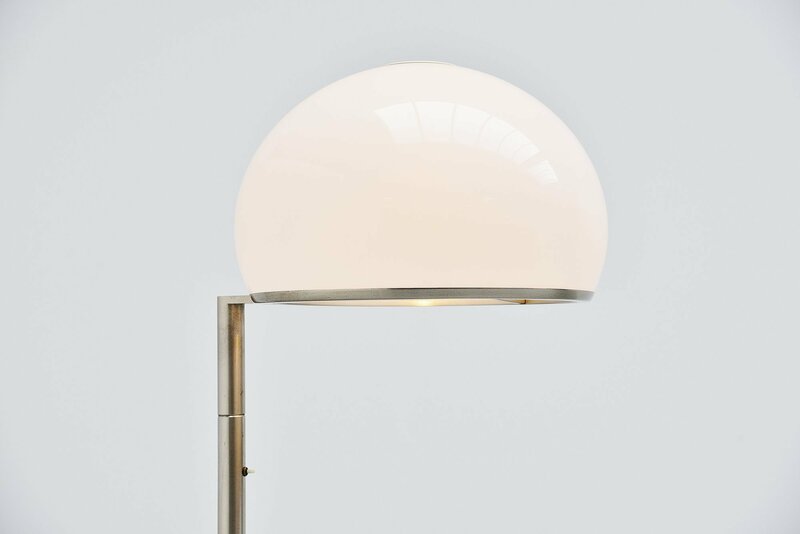 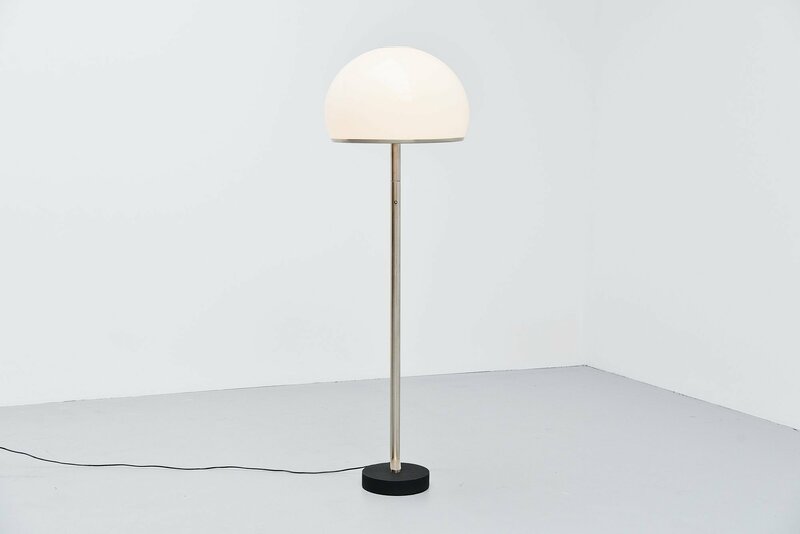 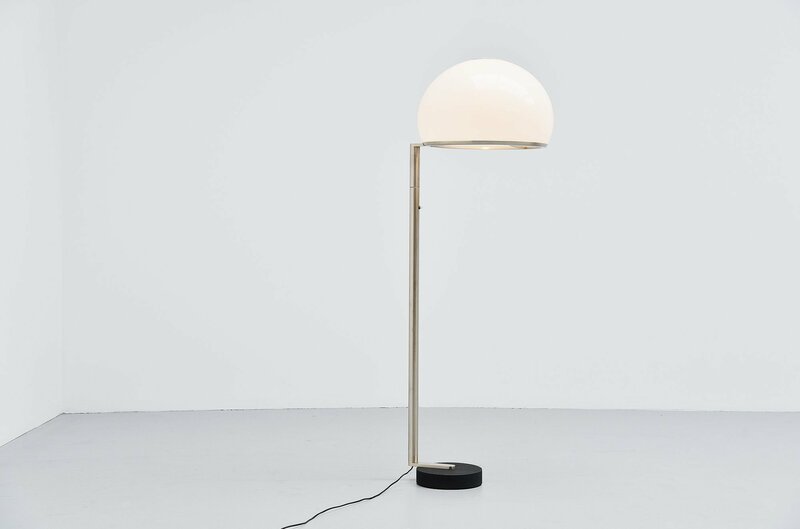 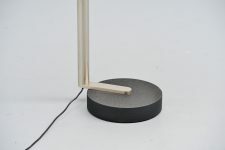 Rare floor lamp model 2051 designed by Vittorio Gregotti, Lodovico Meneghetti and Giotto Stoppino and manufactured by Arteluce, Italy 1966. This is a very nice and large floor lamp. 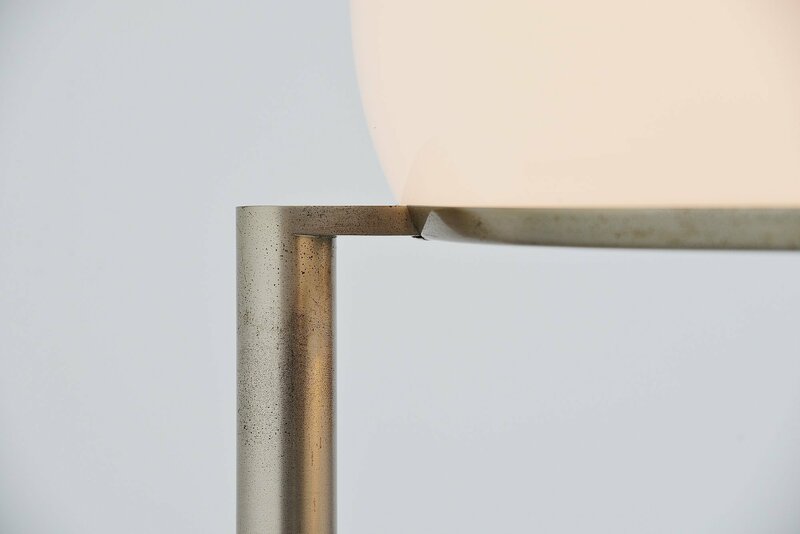 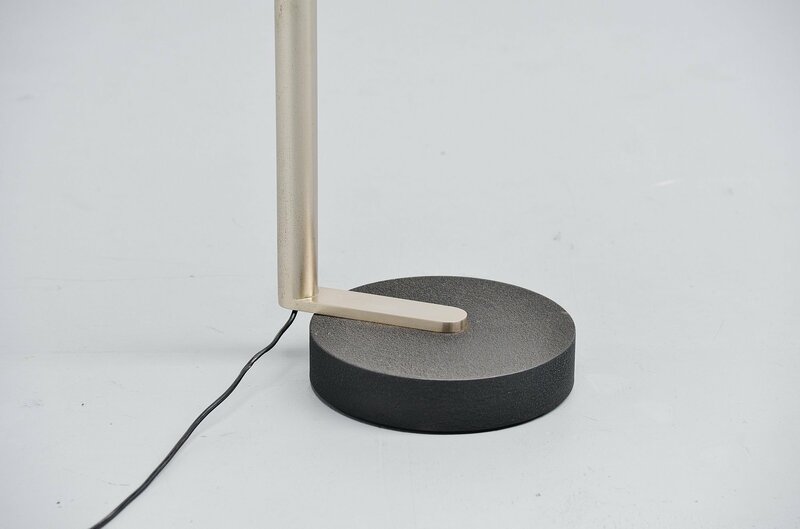 The lamp has a nickel plated metal stem and a plexiglass white shade, a weighted wrinkle painted metal base keeps the lamp in balance. 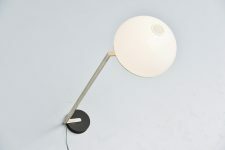 Lamp gives very nice warm light when lit and uses 3x E27 bulb up to 60 watt. 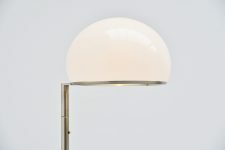 Rare and beautiful Italian floor lamp in good original condition with normal patina from age and usage. 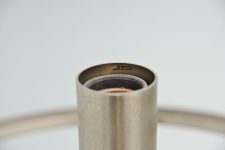 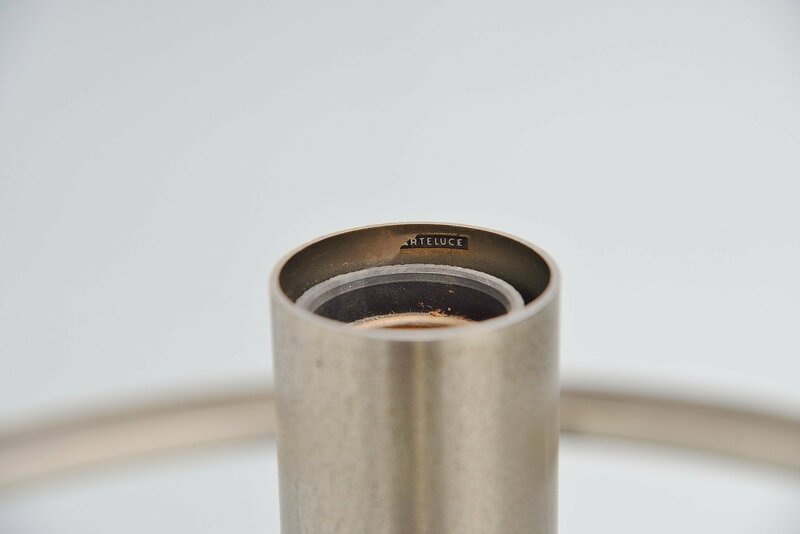 The lamp has the original Arteluce sticker on the inside of the base.